After appearing on 4 episodes of the TV show “The Extraordinary” which aired in 22 countries around the world, Julie Lewin became a sought after international medical intuitive, author and intuitive health consultant. Julie is also no stranger to radio and hosted her own radio show ‘Heal Me Radio’ with CBS Radio in the US. For over 30 years Julie has dedicated her life to exploring metaphysics and how the relationship between the body/mind impacts on one’s health and wellness. She is the founder of AreekeerA™, a self-healing discipline using creative visualisation to heal. She has written a book detailing these techniques with the aim of teaching others how to heal themselves. Julie is a 16 year cancer survivor. Her surgery resulted in damage to 95% of her left vocal chord and she lost her voice for a year. Using her AreekeerA™ healing techniques which she shares through her book and speech therapy, Julie was able to heal her damaged vocal cord and learned to speak again. She runs a successful business in metaphysics, which includes 1:1 consultations all around the world, group retreats, 1:1 retreats, mentoring and creating products. In her spare time Julie studies quantum physics, metaphysics, enjoys being a computer geek building her own websites, editing videos, reading, hanging out with friends and watching her organic veggies grow outside her office window. 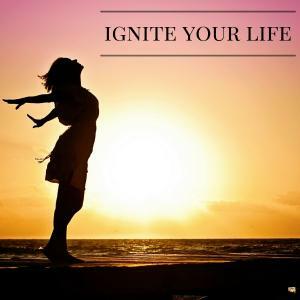 IGNITE YOUR LIFE podcast's latest guest is Julie Lewin. Julie has dedicated years to exploring metaphysics and the relationships between mind and body affecting health and wellness. Julie is the founder of AreekeerA™. Find out more when you listen in to her amazing interview. You can also listen to the interview on iTunes.